Tetanus toxoid, reduced diphtheria toxoid, and acellular pertussis vaccine is effective in middle-income countries like Argentina. Report describes progress made to achieve hepatitis B control in the Western Pacific Region and the steps taken to eliminate mother-to-child transmission of hepatitis B virus during 2005 to 2017. Antibiotic prescribing is higher and guideline-concordant antibiotic management is lower with DTC telemedicine visits in pediatric ARI. 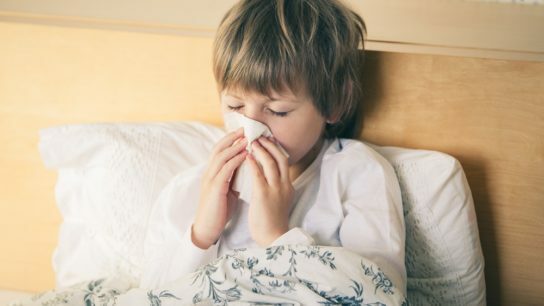 The new interferon-gamma release assay QuantiFERON-TB Gold Plus had good sensitivity in children with pulmonary tuberculosis. A study shows that there are small but consistent deficits in the early growth trajectories of young children who were breastfed and exposed to HIV. Nasopharyngeal microbiota seem to serve as a valid proxy for lower respiratory tract microbiota in lower respiratory tract infections in children. More than one in five infants with a bronchiolitis hospital admission will have a subsequent respiratory-related hospital admission by age 5 years.